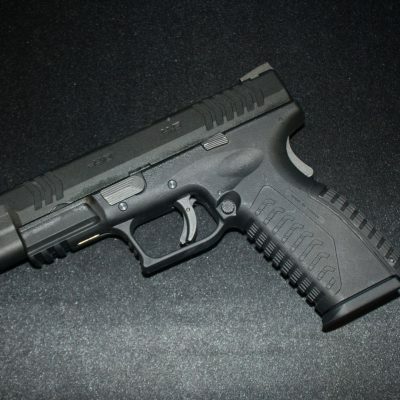 The Springfield Armory XDm, much like the Glock series pistol range, is a striker fired polymer pistol which is ergonomic, reliable and features both the safety mechanisms as the Glock and 1911 series of pistols. 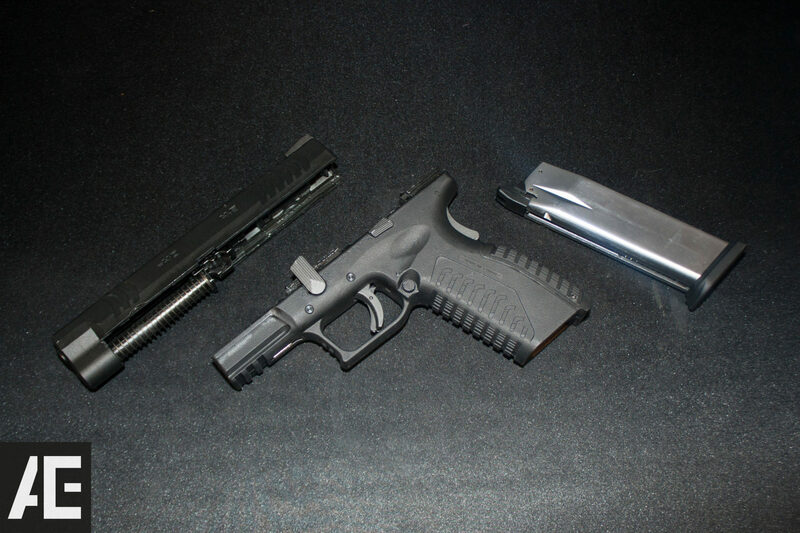 The pistol is closely related to its predecessor, the HS2000 which is widely known in the US as the XD series. 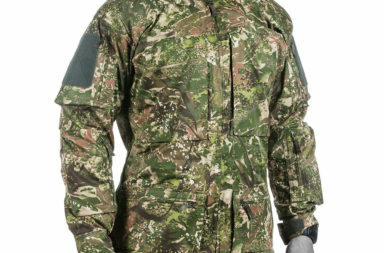 The entire series is manufactured in Croatia by HS Produkt. 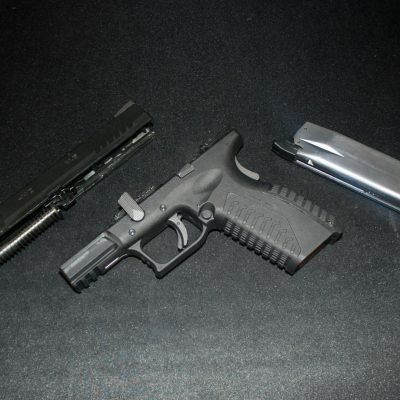 But enough about that, we are here to review the the WE XDm series 4.5″ GBB pistol. 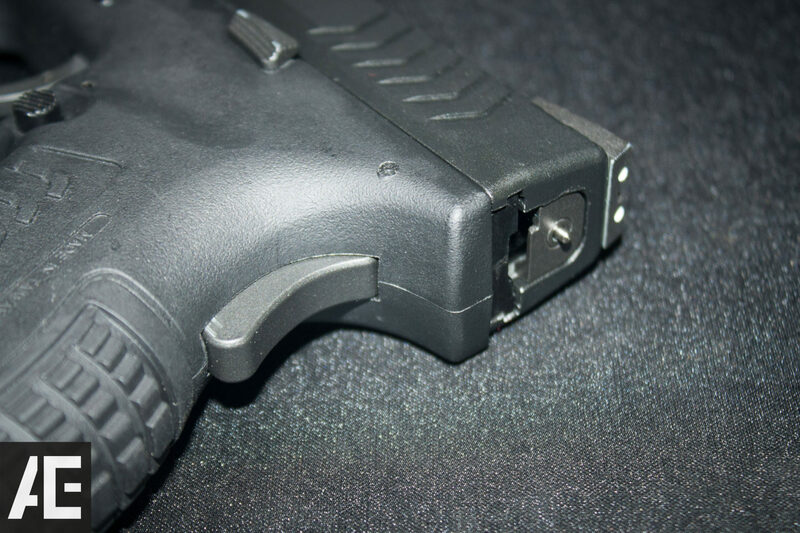 The WE XDm is one of the newest range of GBB pistols from WE-Tech, and hence has been one of the first pistols to have shown more promise than the previous range of GBB pistols manufactured by WE. 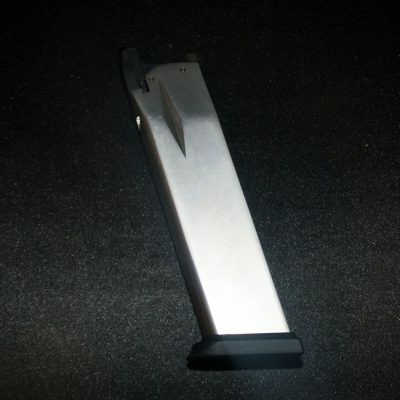 The pistol looks like a direct copy of the real steel variant with some slight differences of which would only prove to be either aesthetic or functional in a real steel pistol (the chamber indicator on the top of the slide). 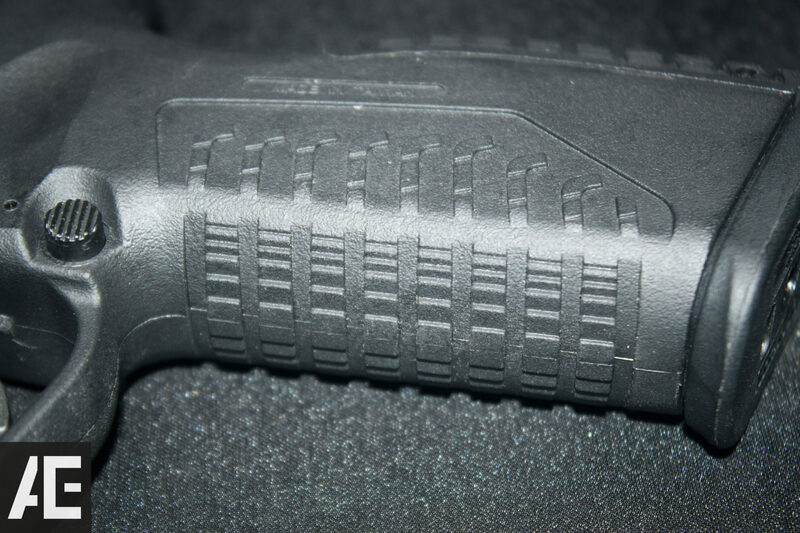 The pistol feels very comfortable in average sized hands and can be altered (using the extra back straps) to accommodate larger hands. 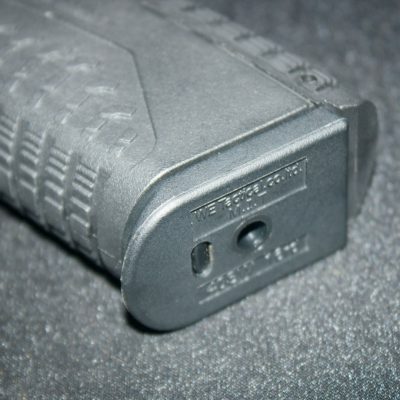 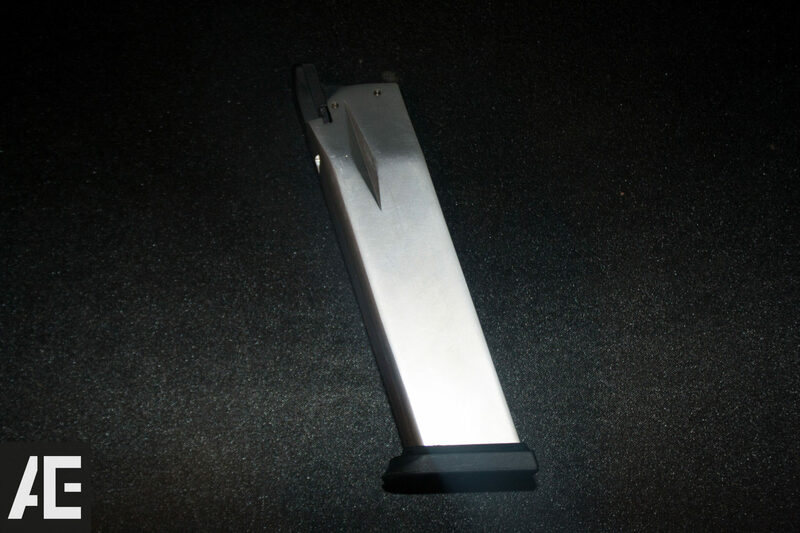 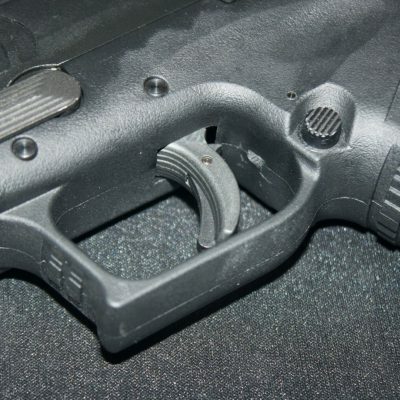 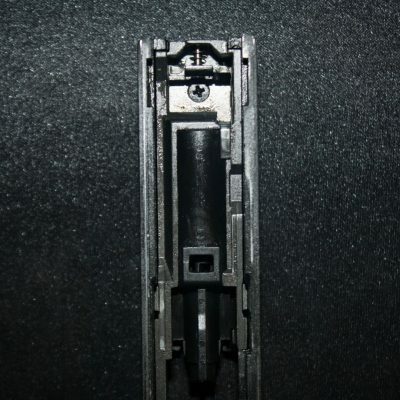 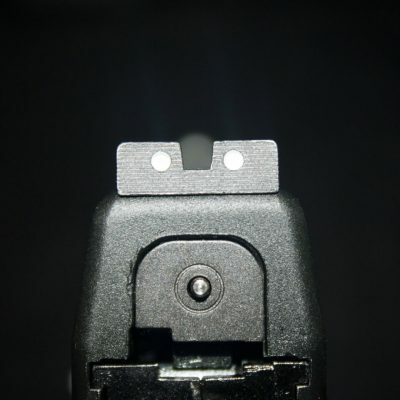 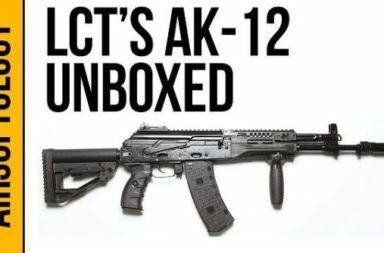 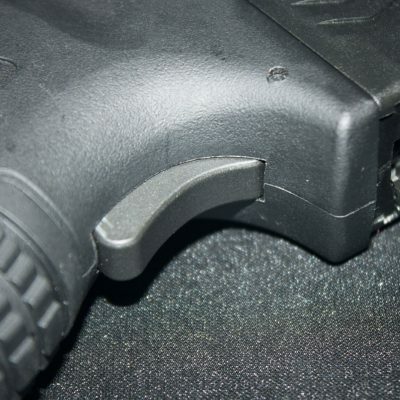 The operation of the pistol is very simple as it merely requires the magazine to be loaded and the slide to be racked before being able to fire it. 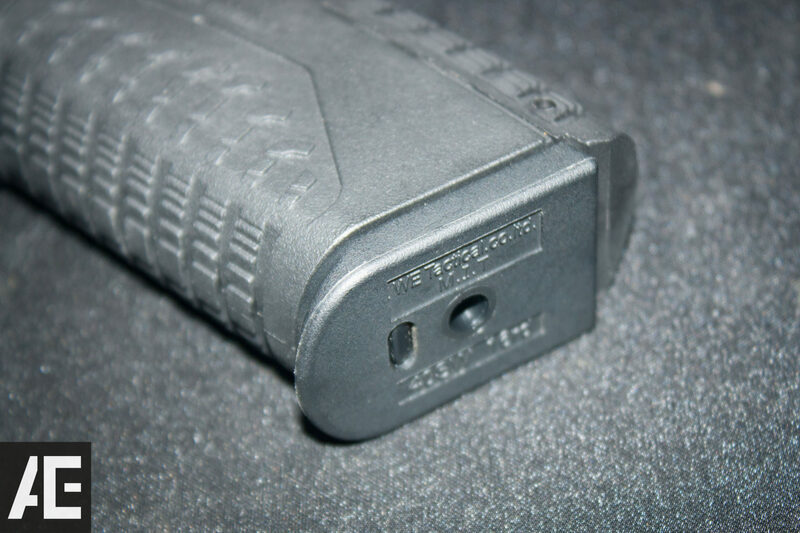 There are no decocker functions or pre-cocking functions without racking the slide. 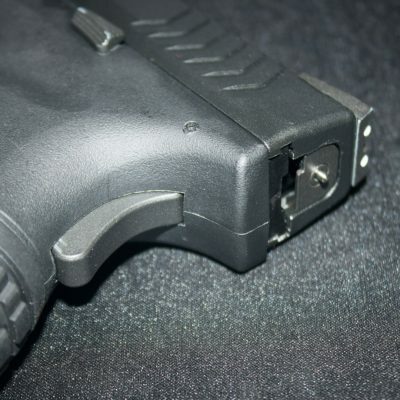 Firing the pistol can be very comfortable as well, considering the hand comfortably sits on the grip at the right angle for shooting both one handed and two handed. 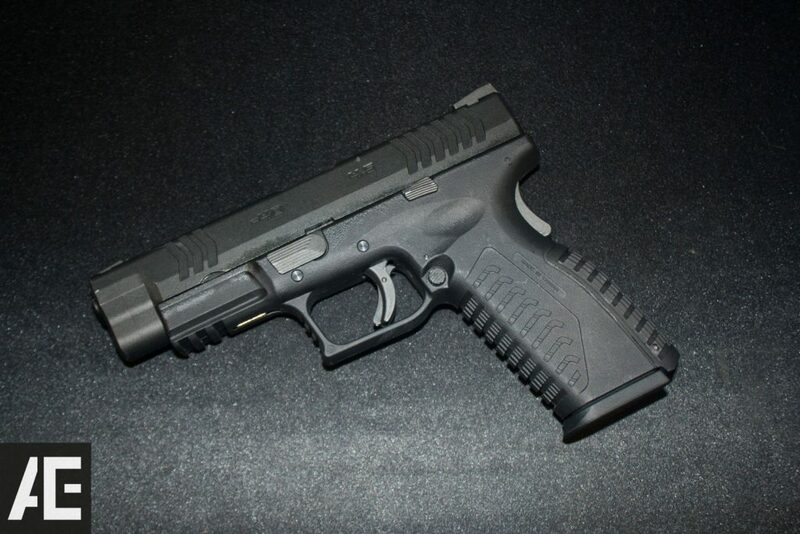 As a medium sized pistol, the WE XDm is fairly light and weighted around the center of the trigger. 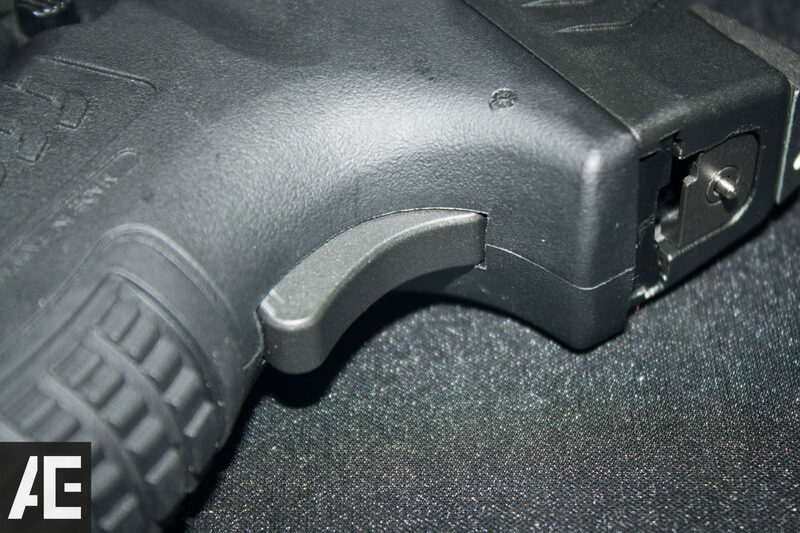 The trigger pull is not too long or heavy and has a satisfying click followed by the reset of the trigger pull. 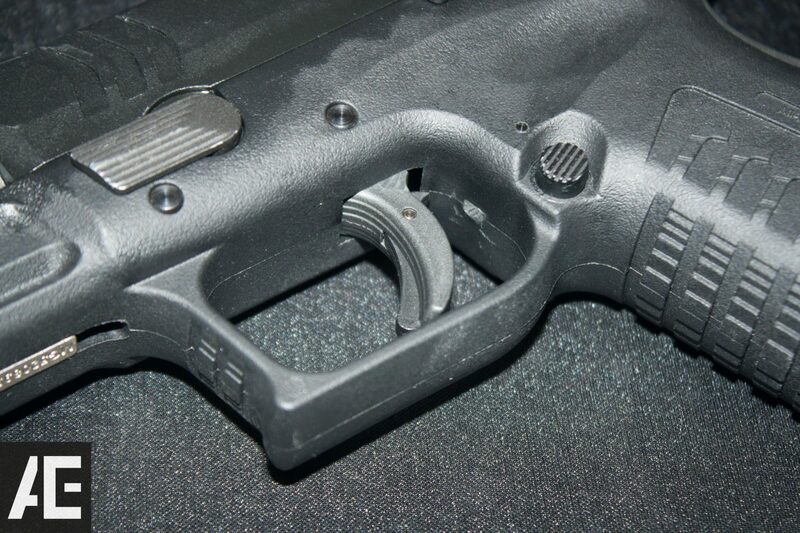 After prolonged use, the trigger has yet to show any wear or loosening. 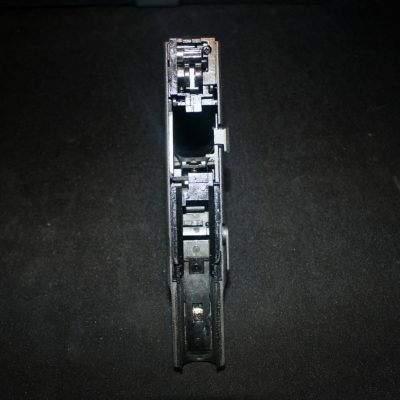 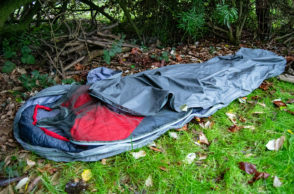 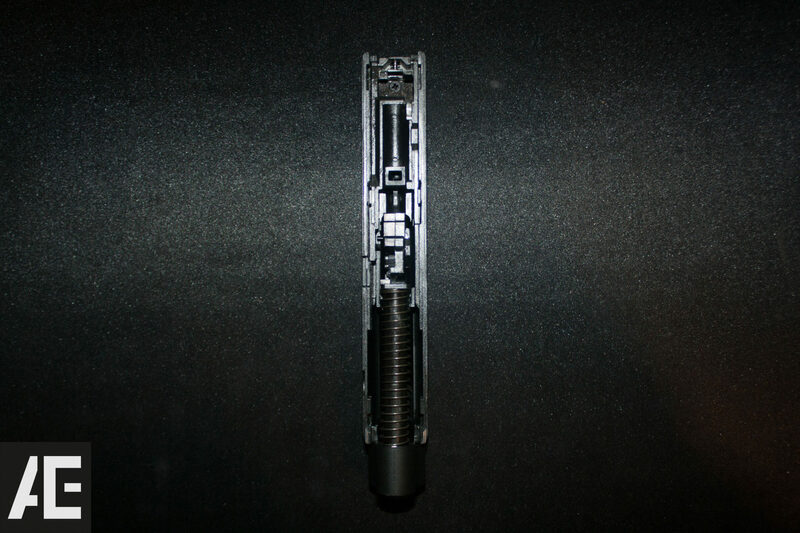 The slide catch can be found on the left hand side of the frame and is unfortunately not ambidextrous (not found on the right of the frame). 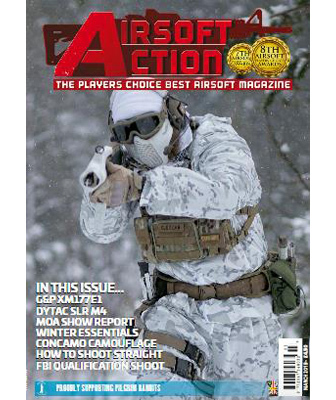 However having said this, the magazine release is found on both sides of the frame and hence is ambidextrous for both left and right handed players. 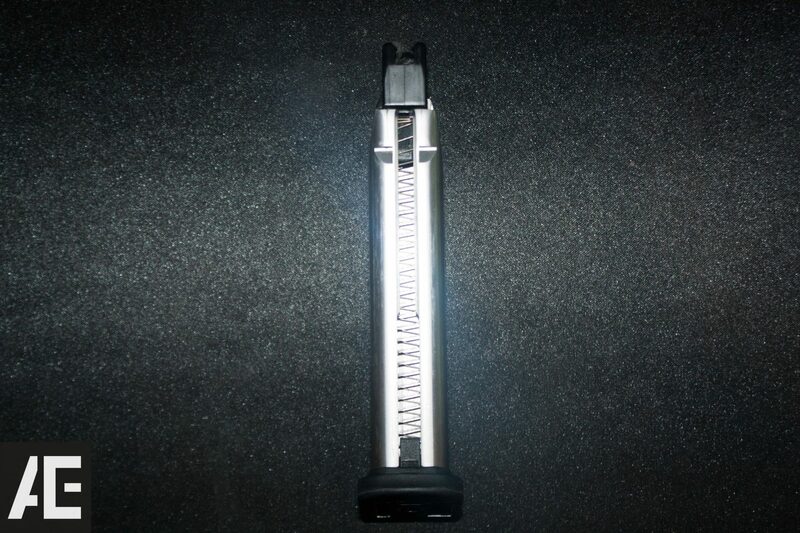 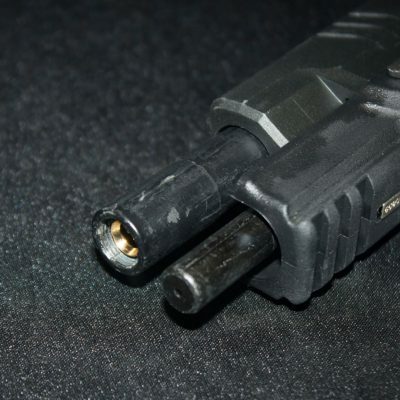 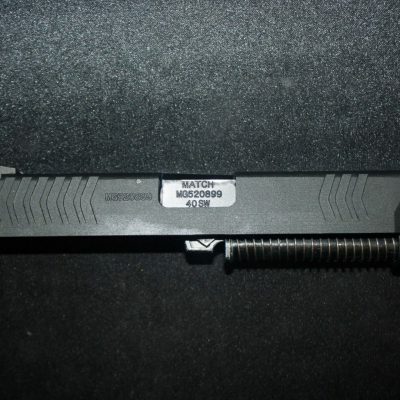 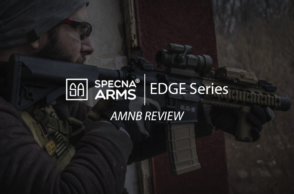 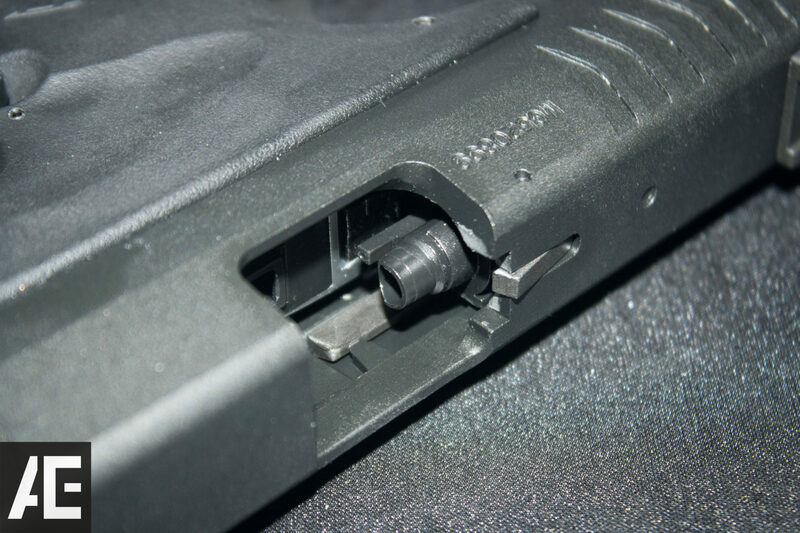 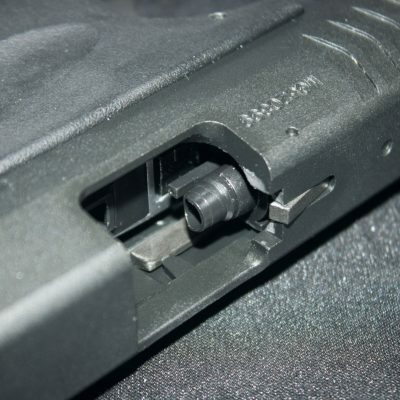 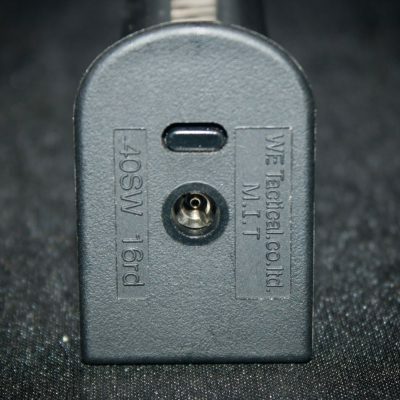 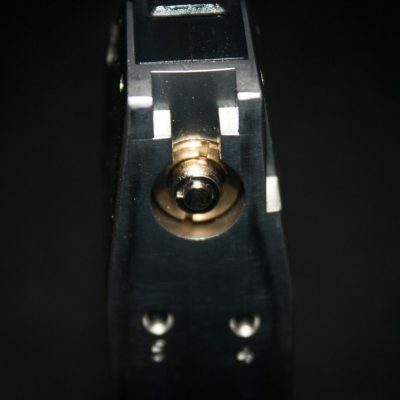 The outer barrel does not come with a threaded barrel, however it does have an internal thread which allows for the outer barrel to have a small 14mm- thread adapter attached to it. 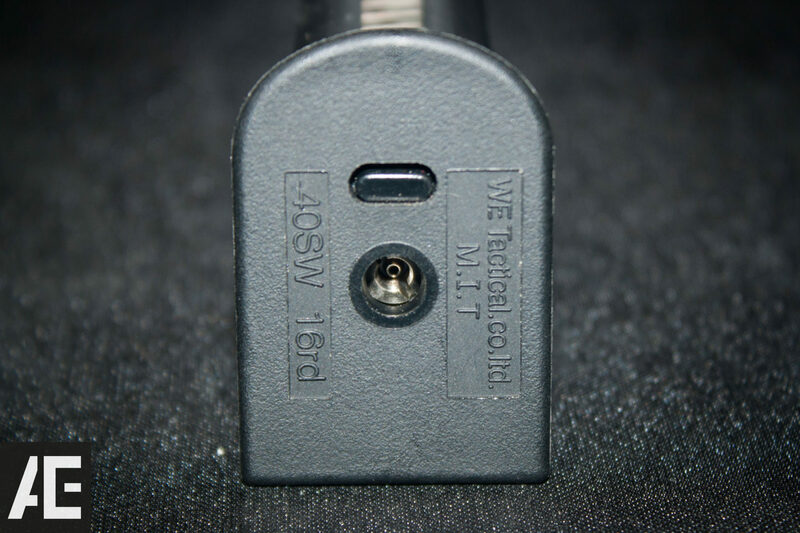 These are available from retailers who stock WE products. 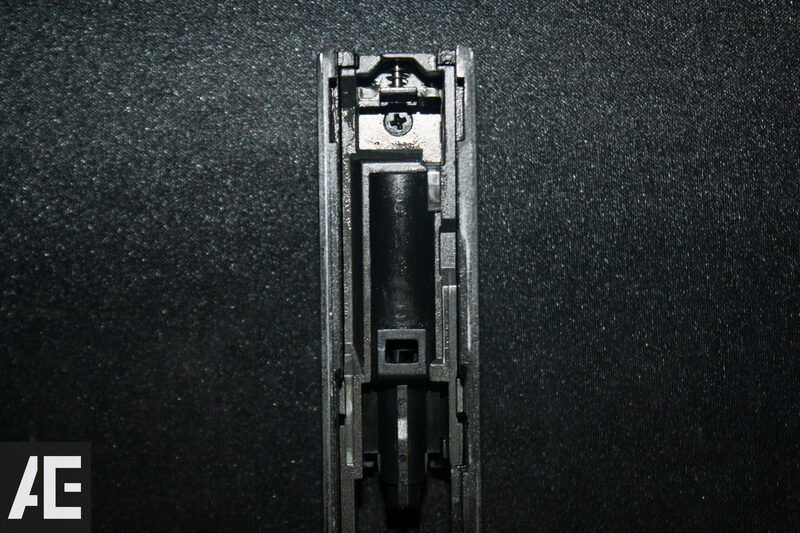 Apart from the hop up rubber, nozzle, and hop up dial the internals are made of a standard metal which depending on usage and type of stress are prone to breaking over prolonged use. 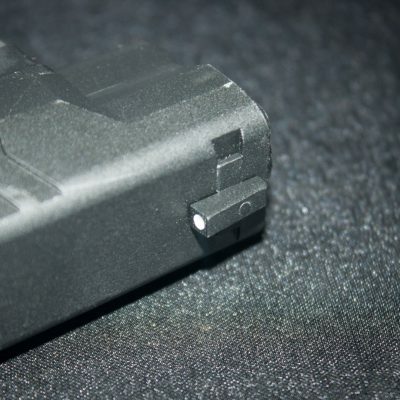 The WE XDm Slide and the Outer Barrel are coated in what seems to be a light and thin layer of coat which will come off over time, however that will give the pistol a worn look which may be a benefactor to owners who desire that kind of look. 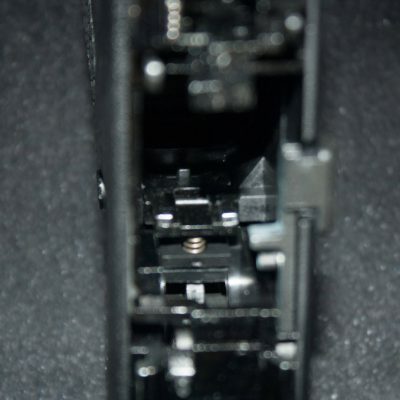 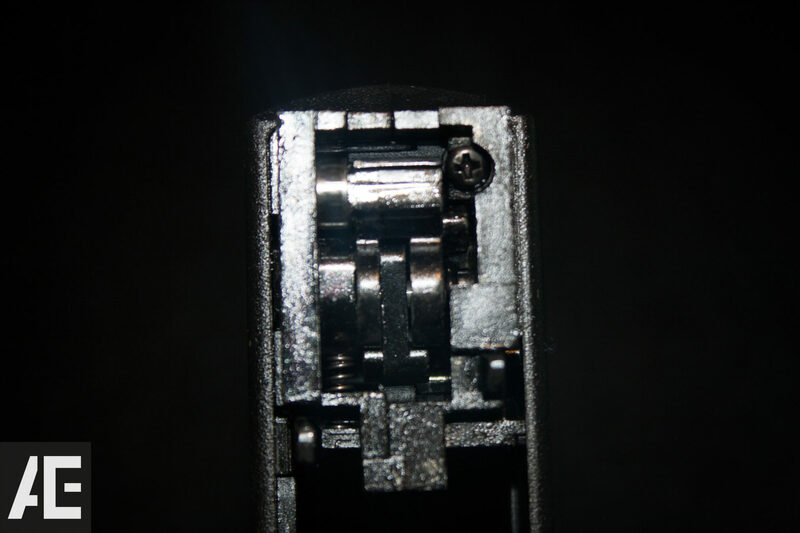 The trigger mechanism is tight and does not feel mushy on trigger pull, this also means that it is unlikely that the trigger will be the first of all the internals to fail. 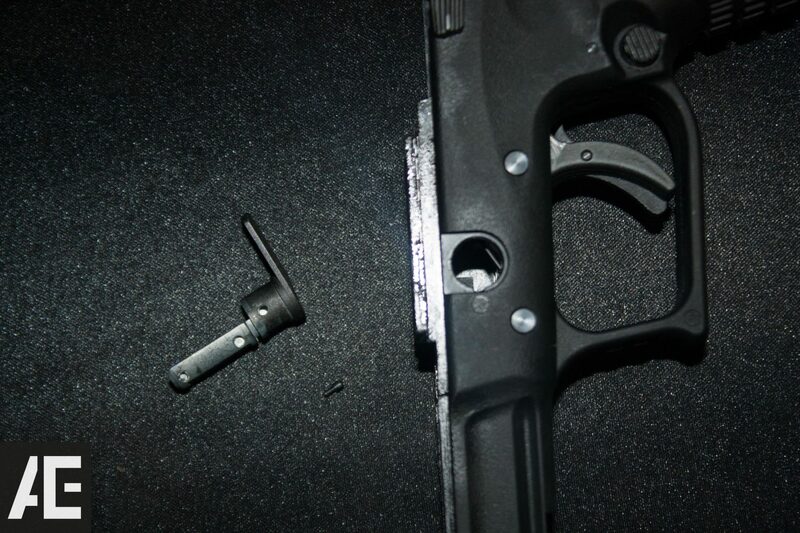 The likely point of failure seems to be the striker at the back of the frame of the pistol. 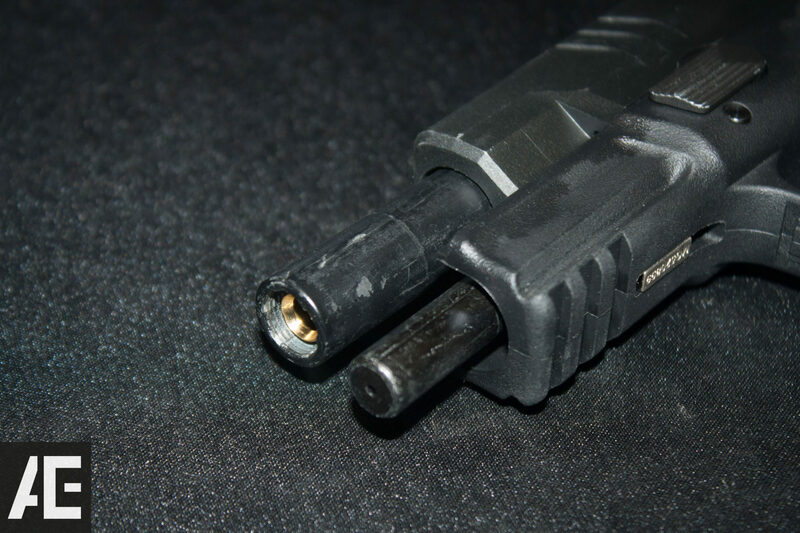 If the pistol starts to fire multiple times after one trigger pull or the slide gets stuck, it is worth checking the striker mechanism for wear and tear. 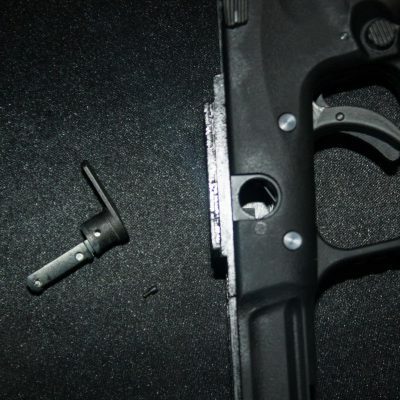 To disassemble the pistol, the take down lever needs to be turned 90 degrees clockwise and the slide will slide forward, off the frame. 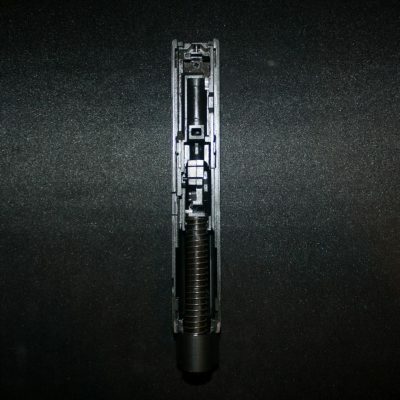 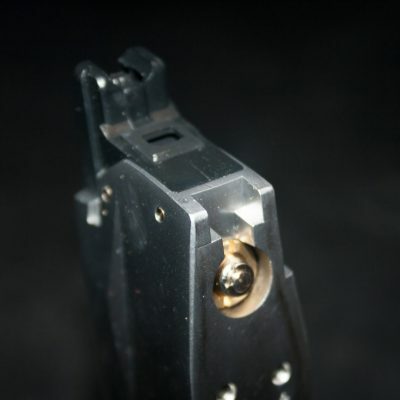 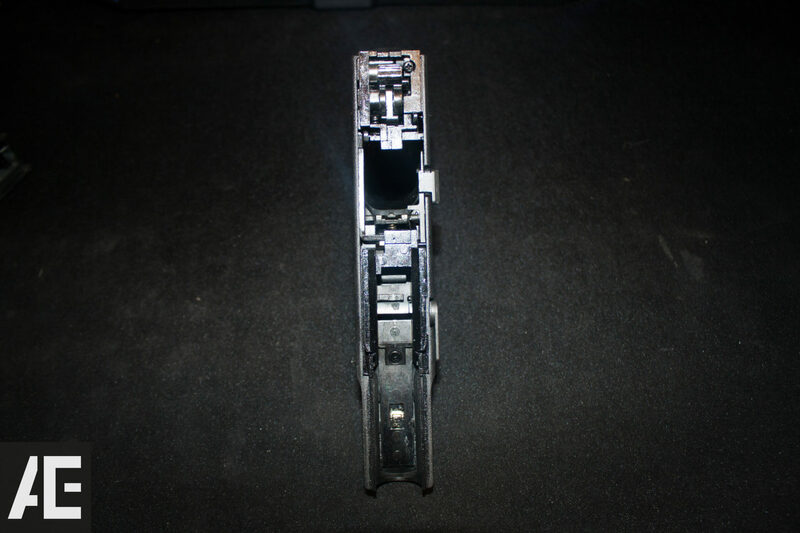 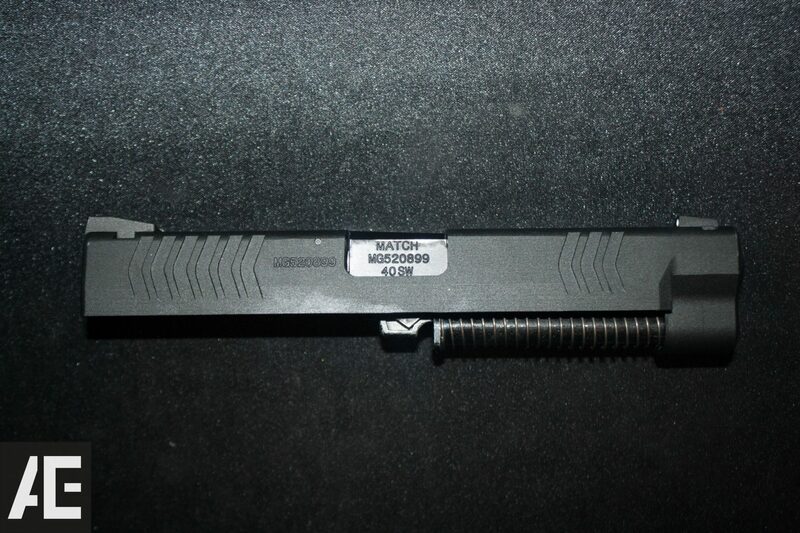 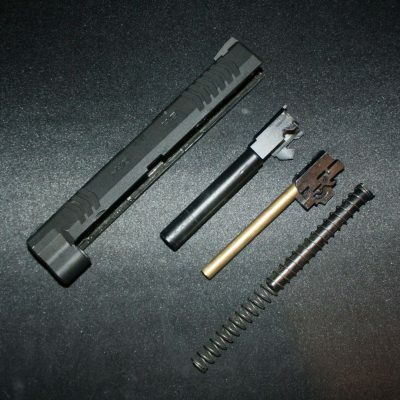 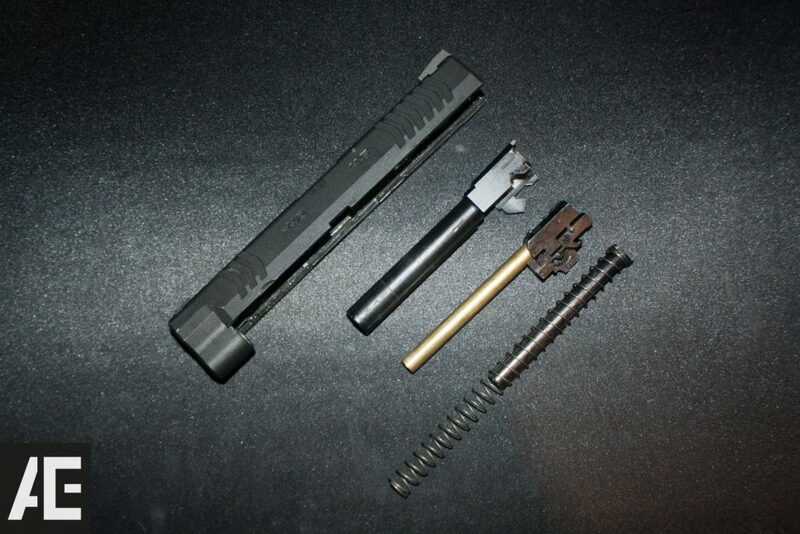 The slide can be disassembled by first taking the spring guide out and then the inner barrel and the outer barrel. 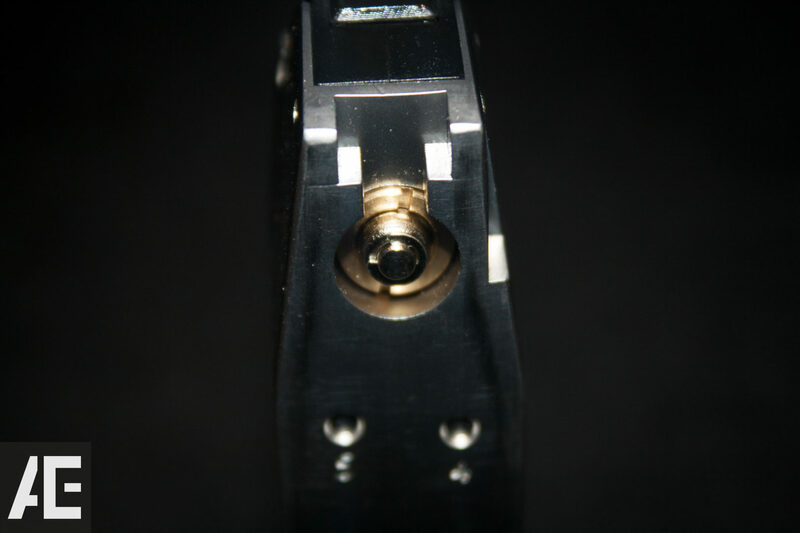 You can also access the hop up dial when you have separated the slide from the frame. 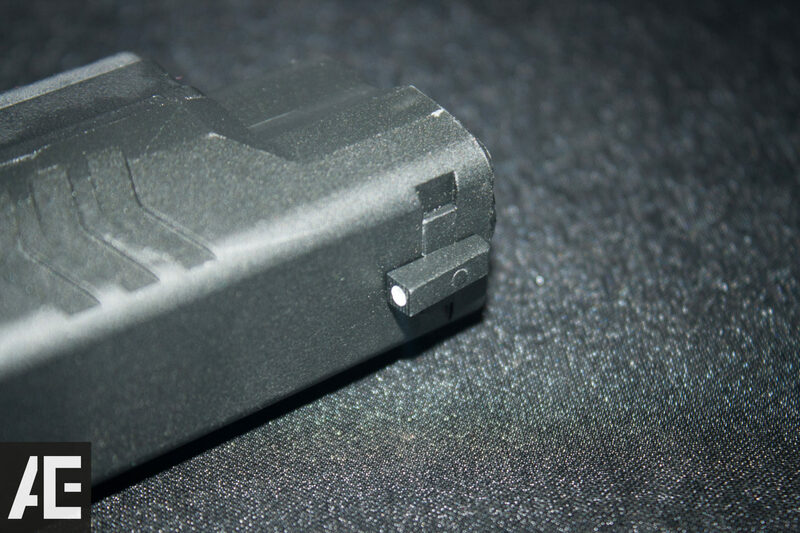 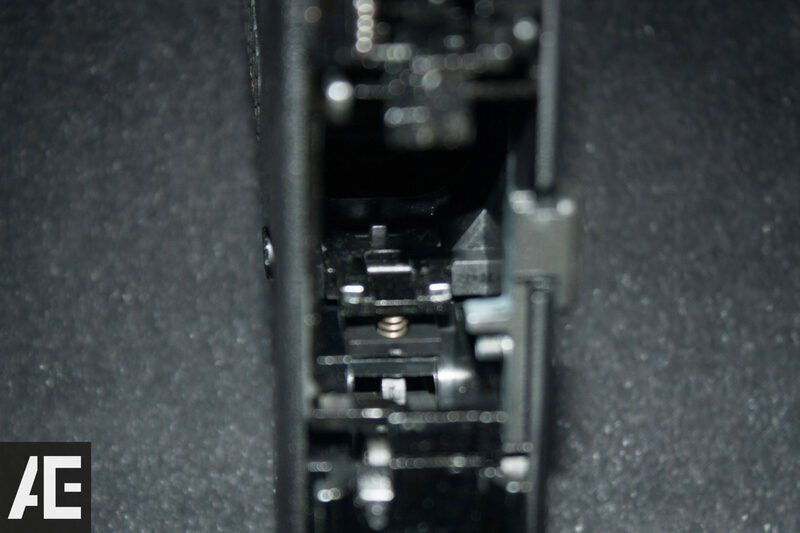 You can find more pictures of the internals and the rest of the pistol in the gallery at the end of the review. 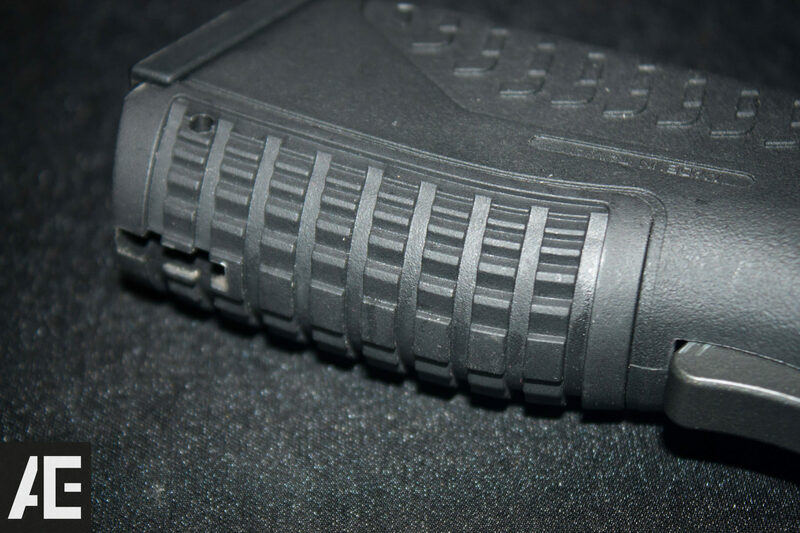 The WE XDM is built with a metal slide which means that it should be able to work with Green gas out of the box (unlike the TM XDm). 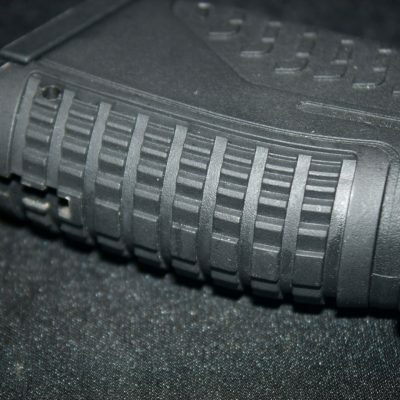 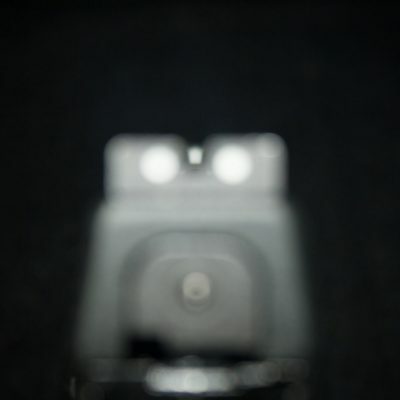 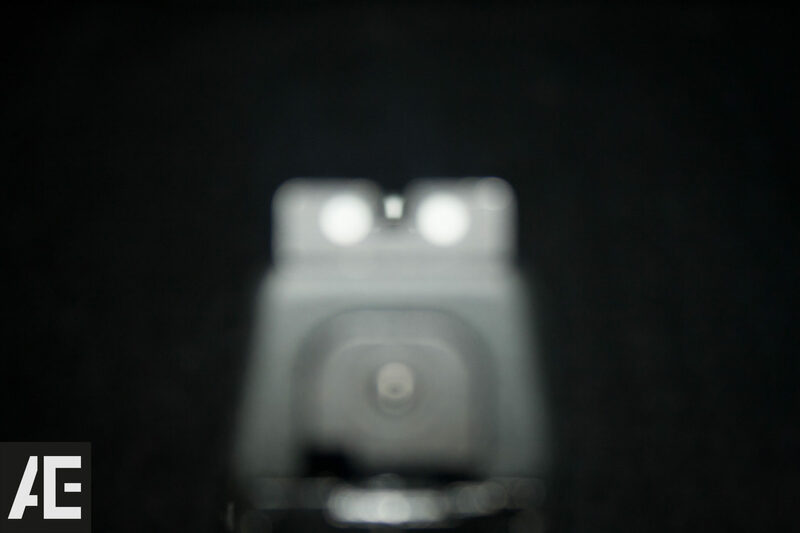 The recoil of the WE XDm using Abbey Predator Ultra Gas is not very adequate due to the heavy slide and cold weather conditions (under 10 degrees Celsius). 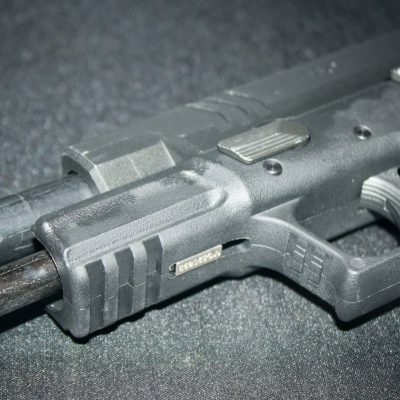 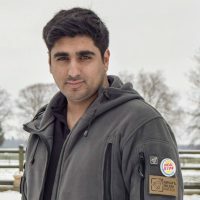 However the use of WE Green gas and other relative gases to propane has shown to increase the recoil and hence increase the performance of the pistol. 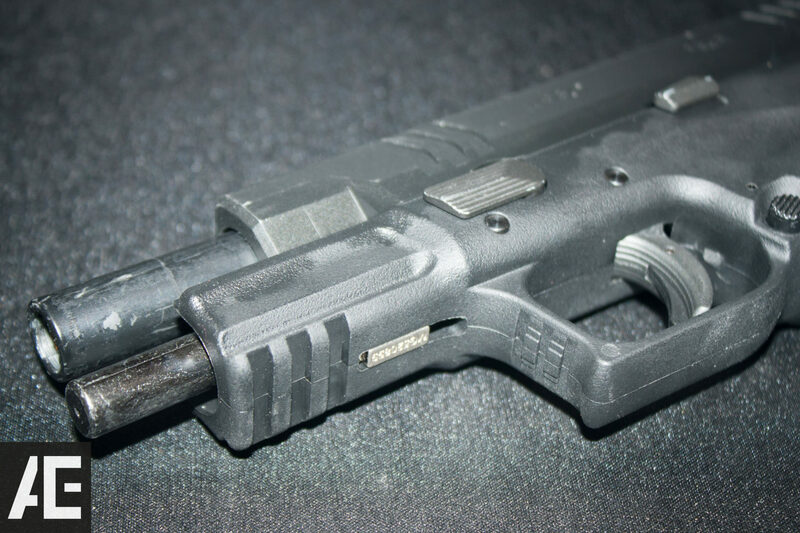 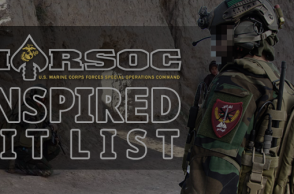 This is not a surprise as the WE pistol is designed to take green gas variants. 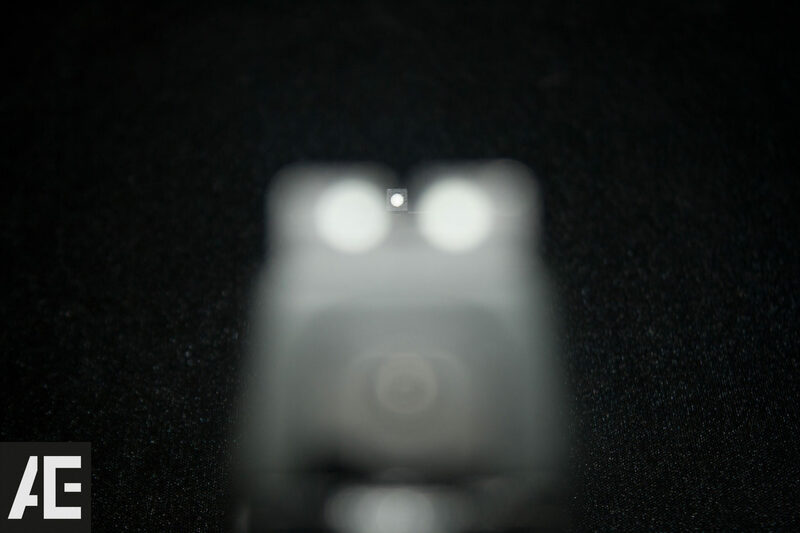 It is however nice to know that the pistol does perform somewhat on Abbey Predator Ultra gas. 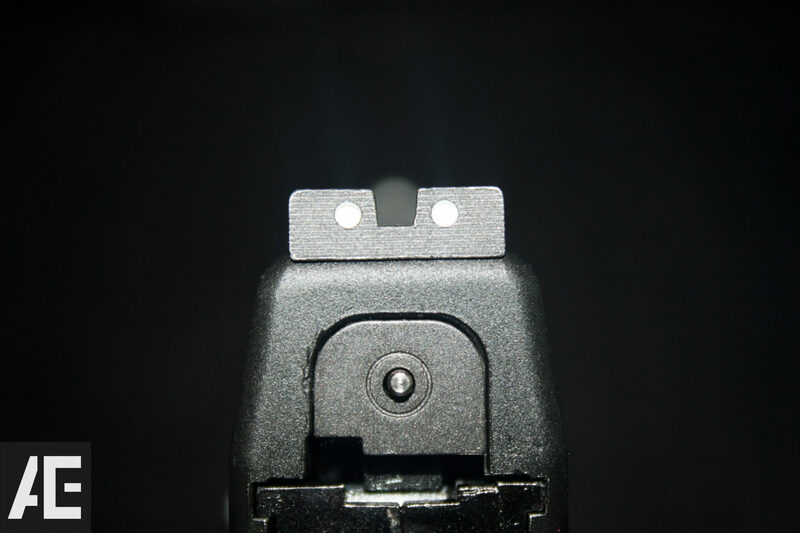 The WE XDm is very reliable as it has not been prone to ceasing up or venting gas unless presented with extreme cold weather conditions. 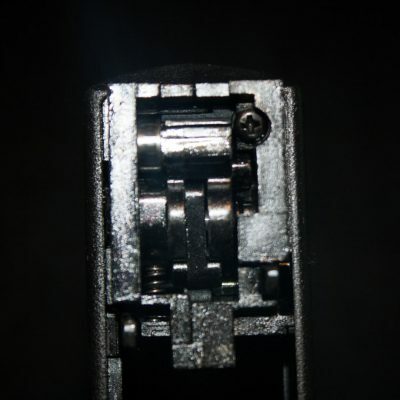 The pistol has kept itself in one piece over numerous skirmishes and has failed to show any internal wear and tear, however the pistol’s aesthetic properties such as the paint work is prone to scratching quite easily. 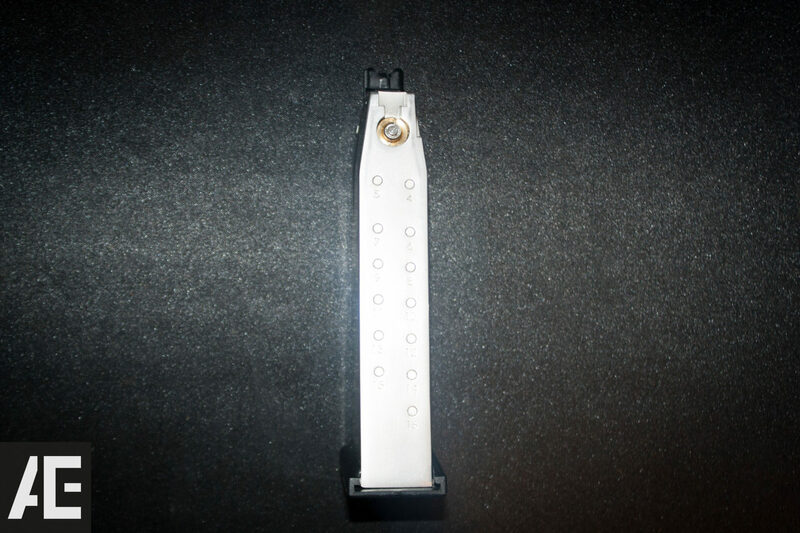 The shooting test was performed using Abbey Predator Ultra gas in a controlled indoor environment at room temperature. 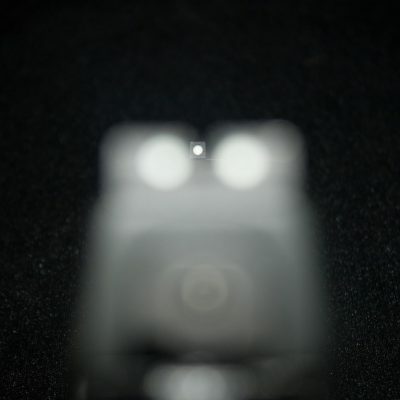 The pistol was fired at a small target ten times and was centred on the reticule regardless of where the bb hit on the target. 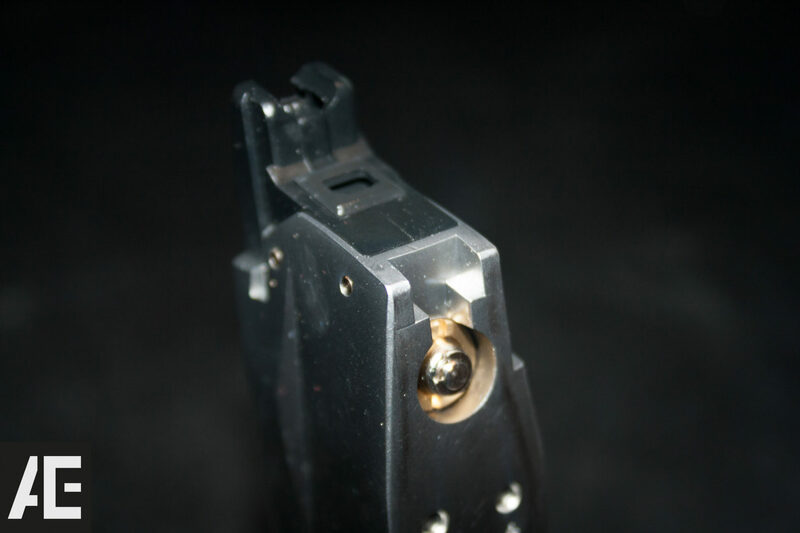 The ten metre shooting test showed very promising results of a grouping of one inch apart with no stray rounds. 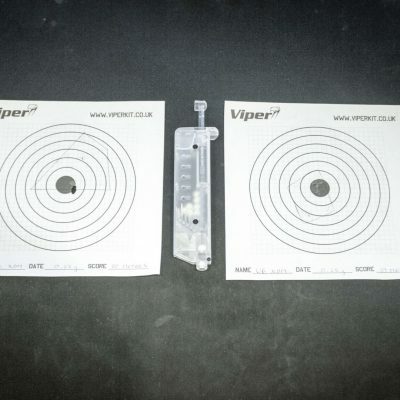 The twenty metre shooting test showed relatively the same results however the grouping was of two inches apart and again no stray rounds. 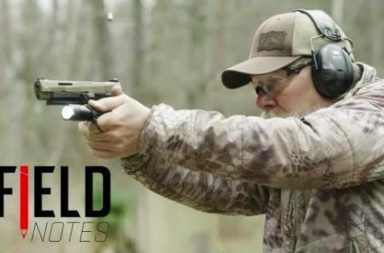 This pistol has shown to be one of the most accurate pistols out of the box. 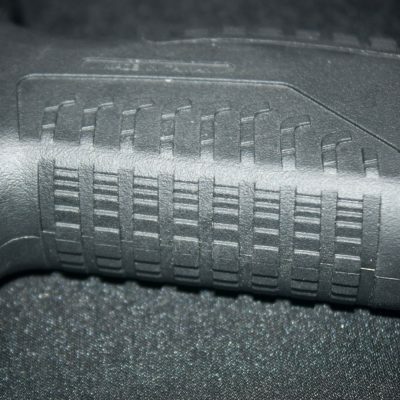 It is likely that we will see more pistols with this kind of reliable accuracy in the future. 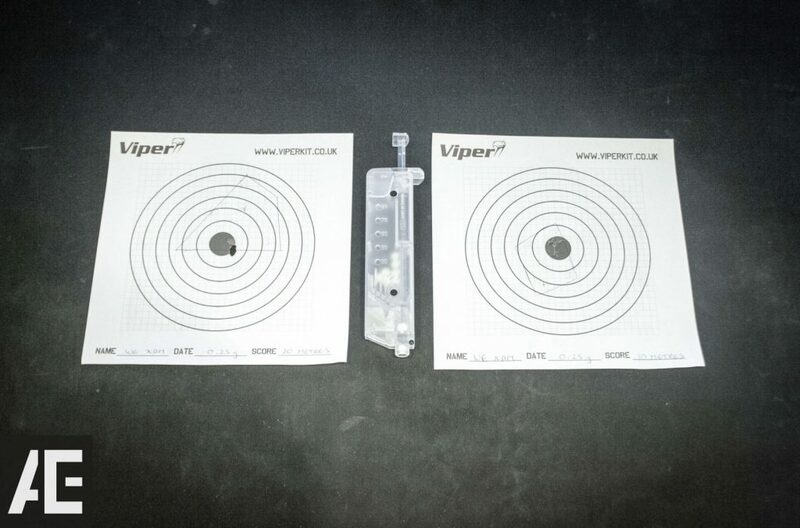 NOTE: The 20 metre test result is on the left and the 10 metre test result is on the right. 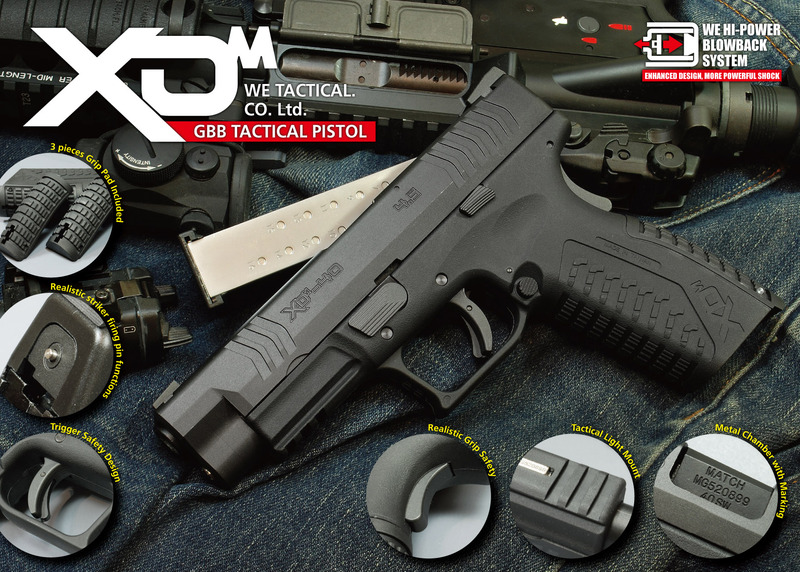 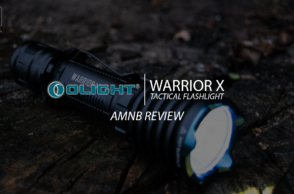 The WE XDm is a very reliable GBB pistol of which has shown new grounds for the kind of products WE can create today and in the coming future. 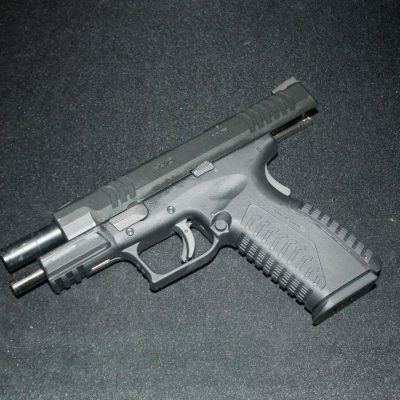 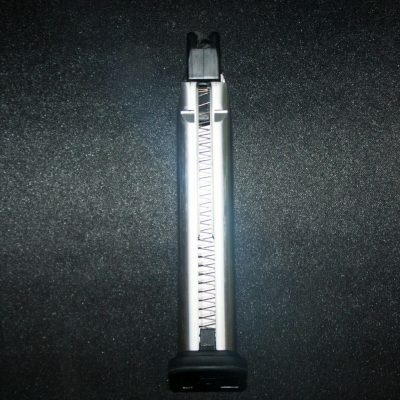 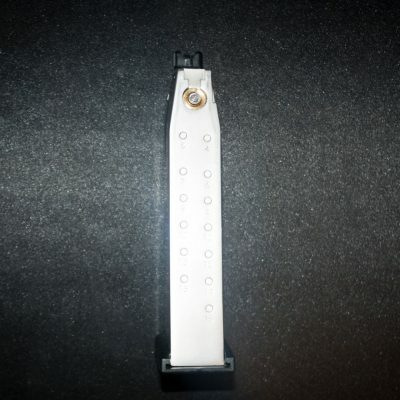 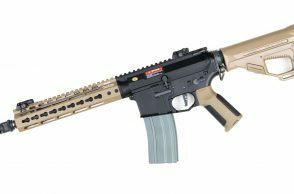 The pistol is a very good starter pistol for players who are looking in to start using gas operated airsoft guns. 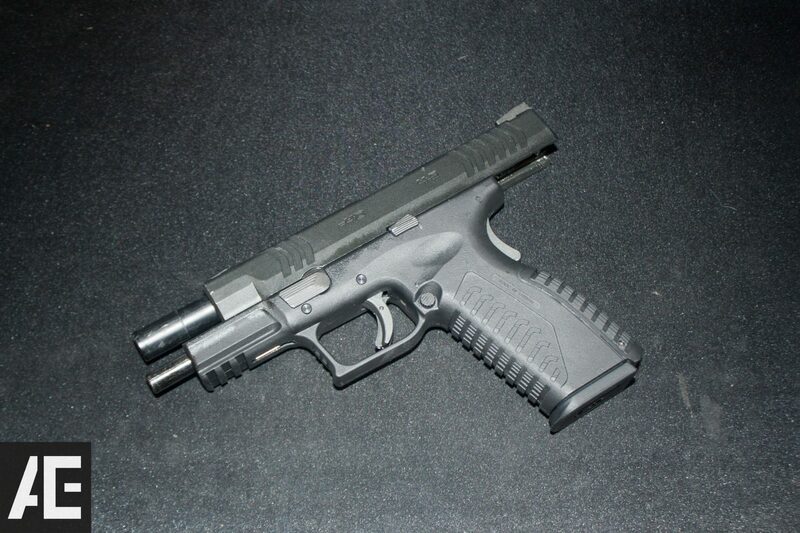 It is also a good pistol to use for AIPSC style events of which in my opinion, striker fired pistols rain supreme. 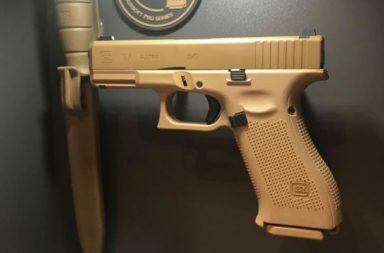 I would however recommend that you use Green gas variants in this pistol as lesser powered gasses can make this pistol seem like an under achiever.